Originally developed for the upper Tier of the marine industry, Future Fibres torsional cables have great potential applications. Their toque transfer efficiency, weight, simplicity and enormous strength mean the scope of their applications is only limited by the imagination. 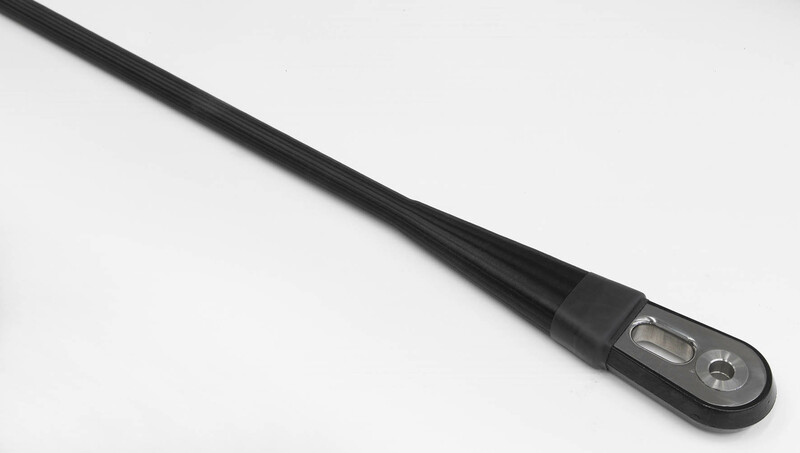 These cables are designed to effectively transfer large amounts of torque across long spans. The technology behind the cores of Continuously Wound torsional cables means that they are highly flexible and can be coiled for very compact storage when not in use. The construction process is largely the same as with our continuously wound tensile cables. Fibres are taken from large individual spools, held at a controlled tension, and wound continuously around two metallic thimbles set at the precise length required until the desired cable design has been achieved. This fibre loop bundle is then consolidated using tape layers to minimise diameter and provide environmental protection. This is then followed by a braided cover for chafe resistance. The fibre loops are then encapsulated in resin to completely seal the fibre from the elements and create a flexible transition between the termination and the dry fibre cable core. For a torsional cables custom braid solutions are used taking quantity, braid angle and material to improve torque transfer. Future Fibres predominantly uses three fibres for our torsional cables, PBO, Dyneema and Kevlar, depending on the application. PBO fibre has better load-bearing properties, so is used in higher performing cables, or those which expect to be highly loaded; Whereas Kevlar is more suitable for cables with a lower loading. 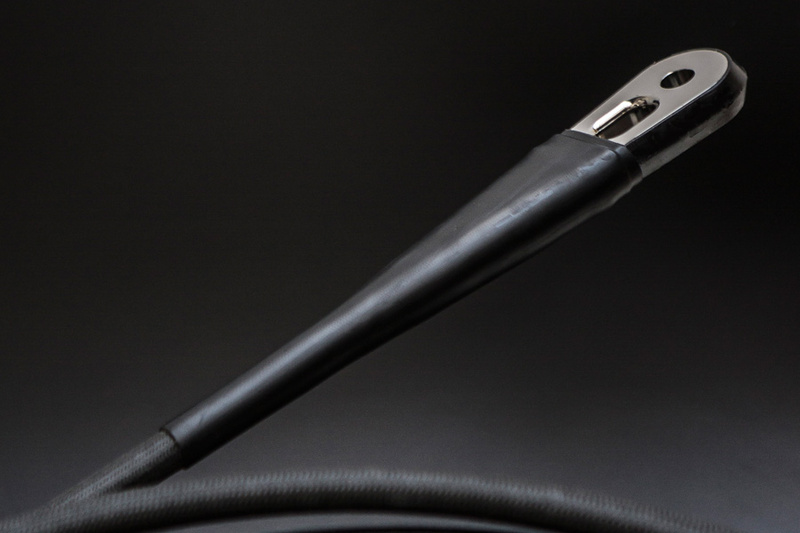 Using the same core technology as ECsix, our multistrand carbon torsional cables are more favoured in situations where the cable will be installed and in service for longer periods of time. Individual carbon rods are made, in-house, by Future Fibres. 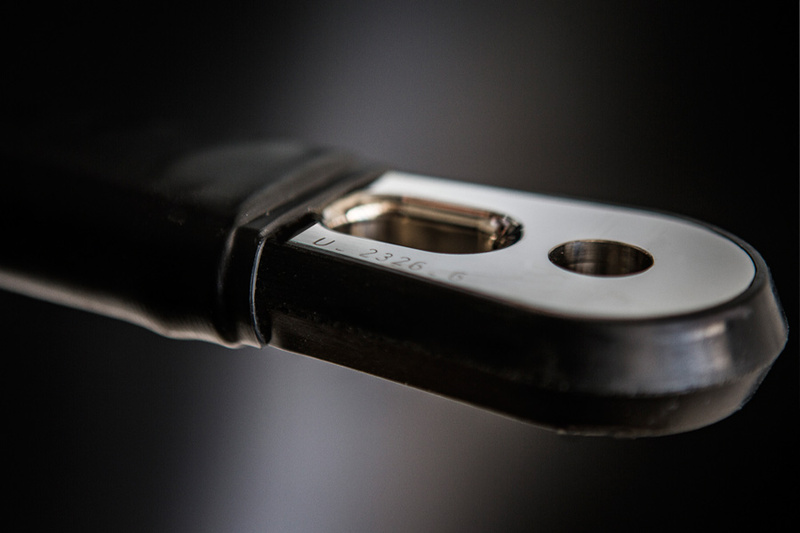 The process of pultrusion allows us to efficiently create the many thin carbon rods that make up our multistrand cables, which exhibit such outstanding weight, strength and durability properties. Strands of carbon fibre are slowly pulled from a spindle using a specifically tensioned roller. The strands travel through a bath where they absorb epoxy resin, before being pulled through a forming die. Here they are moulded into the rod shape and the majority of the resin is removed before they enter a long series of ovens with differing temperatures that maximises the efficiency of the curing process of the resin. The Future Fibres pultrusion process has been honed to produce up to 50km of 1mm rod and 25km of 2mm rod every 24 hours. Future Fibres’ pultruded multistrand cables are all made from carbon fibre. We can tailor individual cables to suit the spec and budget required for a given application by using varying modulus carbon fibre. High modulus fibre is more expensive but has a higher load capacity for a given weight, so should be used in highly loaded cables where cable size and weight is important. Lower modulus cables are more suitable for less performance driven applications.